"The Tribeca series is a mix of lamps, pendants and chandeliers, all inspired by the New York City glamour of the late 1930s. The name Tribeca refers to a very popular part of New York in lower West Manhattan, the Triangle Below Canal Street. The various shapes and designs in the Tribeca series were created in an inspiring creative process where Søren Rose Stu- dio travelled the States, searching for beautiful old lamps and reusable parts to create each unique piece. 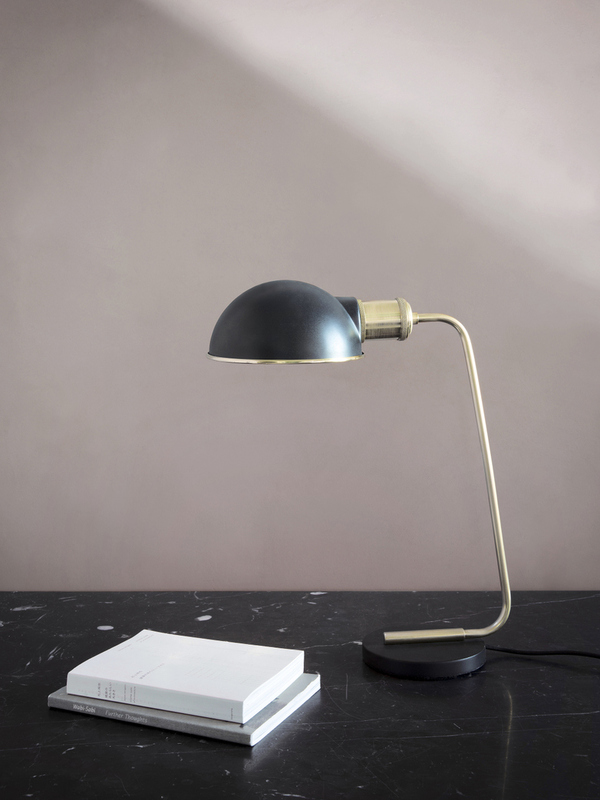 Collister table lamp, forms the latest addition to the series, heavily influenced by the Duane pendant."